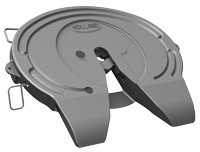 HOLLAND fifth wheels embody a history of evolutionary designs that expand fifth wheel function and value. These innovative advancements guarantee performance and offer proven value for your application. All over the world, manufacturers of commercial vehicles are trying to make the main parts of their vehicles lighter to save fuel and increase the payload. Cast components offer such options. 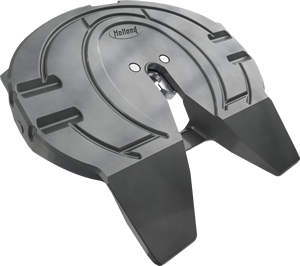 The world’s lightest standard duty fifth wheel, the Forged Aluminum Fifth Wheel. 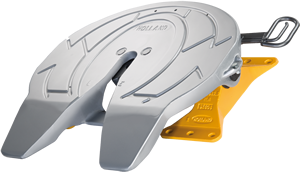 The FWAL Series comes standard with HOLLAND's NoLube technology, eliminating the need to apply grease to the top plate or the locks. Chassis-integrated fifth wheels, designed and developed by SAF-HOLLAND in close co-operation with renowned vehicle manufacturers. This premium fifth wheel is designed for years of performance and has been the foundation for evolutionary new ideas that expand fifth wheel function and value. The FW3510 Series meets the needs of the transport industry for today and beyond. All over the world leading manufacturers of double pocket wagons and their customers, the railroad companies, rely on these special railcar hitches for securing trailers for combined freight transport. For optimal utilisation of permissable axle loads and vehicle length. An extensive and coordinated range of accessories supplements the range of products for commercial vehicles. With a trusted design and proven features, including durable cast steel construction and specially designed twin locks, HOLLAND terminal tractor fifth wheels provide the reliability you need when seconds count. Utilizing proven heavy duty cast steel construction ideal for applications where the loads or operating conditions demand higher capacities than a standard fifth wheel. Specifically designed for light duty applications such as recreational vehicles, specialty, or gooseneck-type trailers.